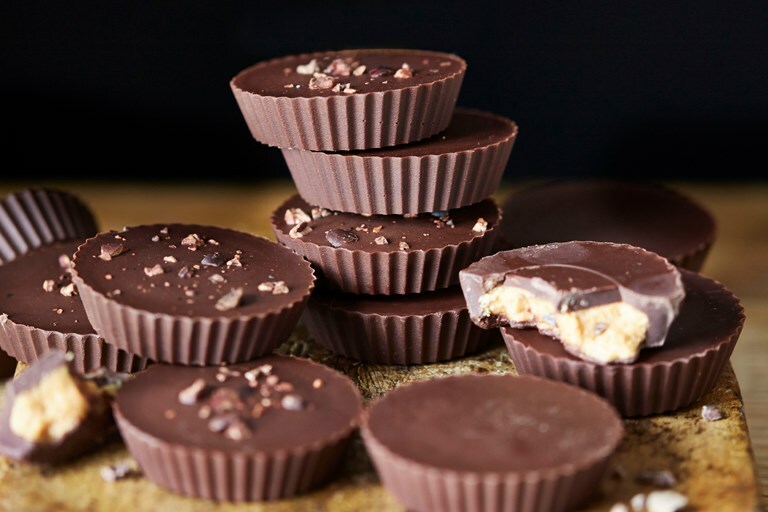 These chocolate and peanut butter cups, are sheer joy and with such a classic flavour combination, they will become a firm family favourite in no time at all. It's hard to imagine a time when American candy wasn't available in the UK, but the first time I tried a peanut butter cup was at secondary school when a friend brought some back from a family holiday. Nowadays, chocolate and peanut butter confections are available to buy everywhere, but it's much more fun to make your own. The cocoa nibs add a lovely, subtle crunch, but you can leave them out for a more classically creamy mouthful.